The California coastline has long been of interest to archaeologists. 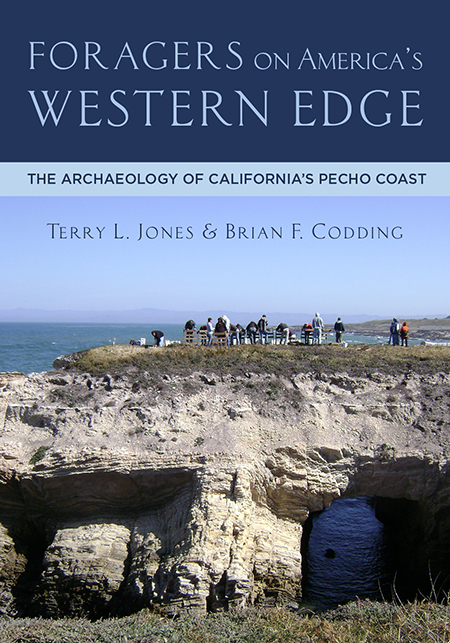 This book directs attention to the largely ignored Pecho Coast, a rugged, isolated 20 km long peninsula between modern-day Morro Bay and Pismo Beach. Archaeological work along this stretch was last synthesized in 1972. Jones and Codding now bring together the extensive contract work and field school studies of the intervening years, shedding new light on the region’s early inhabitants. The first people of the Pecho Coast were part-time residents who exploited shellfish, fish, and marine birds, including the flightless duck, Chendytes lawi, which sustained hunting drove to extinction ca. 2800 cal BP. This marked the only unequivocal case of prehistoric, human-caused extinction in western North America. Cold, productive seas allowed inhabitants to weather droughts of the Medieval Climatic Anomaly (950–600 cal BP), after which shell beads became increasingly abundant, representing either the initial appearance of Chumash-speaking peoples or attempts by Chumash leaders to consolidate power through gifting, reciprocal exchange, or forced conquest. During the mission era, fishing sustained the Native community as, for the first time, individuals became fully sedentary, foraging within a limited radius to avoid contact with the Spanish. This record reveals a unique story of local adaptation, anthropogenic habitat change, social differentiation and, ultimately, resistance to colonial invasion. Terry L. Jones is professor of anthropology and chair of the Department of Social Sciences at California Polytechnic State University, San Luis Obispo. He has co-edited several volumes and authored numerous articles and book chapters on California’s prehistory. Brian F. Codding is associate professor of anthropology and director of the Archaeological Center at the University of Utah. He has published more than forty journal articles and recently co-edited the book Why Forage? Hunters and Gatherers in the Twenty-first Century. —William Hildebrandt, founding president, Far Western Anthropological Research Group, Inc.
—Clayton G. Lebow, vice president/principal archaeologist, Applied EarthWorks, Inc.